Battle stations! The voter purges are coming! One of the Left’s favorite scare tactics is to claim that Republicans want to ruthlessly purge members of Democrat-friendly demographic groups from the nation’s voter rolls. They claim Republicans want to do this because they hate minorities and the poor. This is simply propaganda but it persists election cycle after election cycle. Gupta ran the Department of Justice’s Civil Rights Division in the final two years of the Obama administration. During her tenure, the Civil Rights Division ignored its legal responsibility to safeguard voter rolls. So naturally Gupta is upset. Of course, federal law requires the Justice Department to monitor such electoral integrity-related matters so that dead people can be removed from voter rolls. It is essential that people who are not eligible voters be “purged” from the rolls to prevent voter identity theft and other forms of vote fraud, but Gupta claims the request for information is actually “a prelude to voter purging,” presumably on a massive scale. Gupta also claims the feds will use the data states send it to “create a national database to try to find things like double-voters,” which is something fair-minded Americans think is a good idea. Gupta’s opinion piece “does a tremendous job of making the case for an immediate purge of Obama-era executive branch hires,” Steinberg adds. 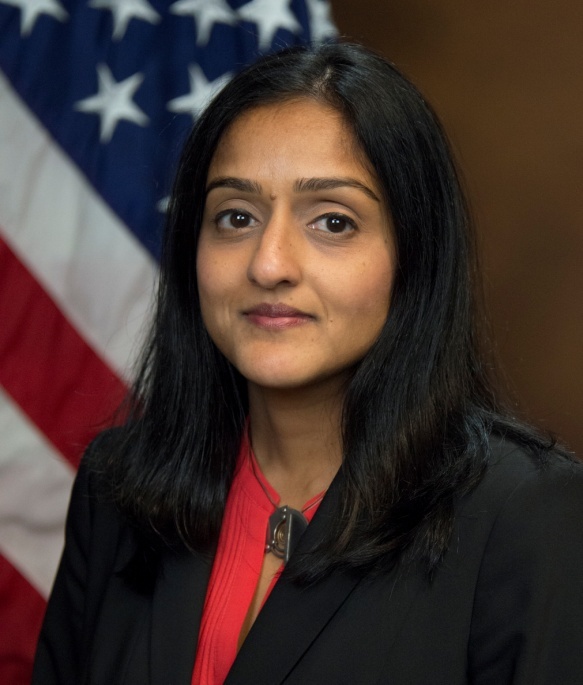 Gupta is currently president and CEO of the Leadership Conference on Civil and Human Rights. She was previously Deputy Legal Director of the American Civil Liberties Union and Assistant Counsel at the NAACP Legal Defense and Educational Fund. Her legal brethren believe voter fraud is a myth Republicans use to disenfranchise people they don’t like. Reasonable people can disagree over how serious a problem voter fraud is in today’s America, but the evidence it exists cannot be ignored. No matter what activists like Gupta may say, the creation of the Presidential Advisory Committee on Election Integrity is a step in the right direction.